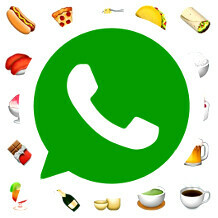 With more than a billion users now, WhatsApp, the world's most popular instant messaging platform, has slowly been turning from a barebones chat app, into a more sophisticated endeavor that is almost (but not quite) on par with the best out there in terms of features. Just recently it added rich link previews, like on Facebook Messenger or Viber, the ability to star messages to its Android app, and a bunch of Unicode emojis. These features have been in the beta versions you can download only from WhatsApp's own site first, and then, as usual, got rolled into the official app update over at the app stores. Thе sheer popularity of the WhatsApp messenger means that there are plenty of folks that are just getting on the platform, or want to know more how to use it. To match those needs, one kind soul has compiled a handy infographic with basic and not-so-basic WhatsApp tips and tricks for a handy reference, check it out below. Best trick for you. Close your phone/PC >go to your bed >open the blancket>cover yourself>lay your head on the pillow>close your eyes>done. Works 100% guaranteed. An error popped up "ERROR-001: Sleep Not Found, try again later"
when can we get stickers like in LINE or BBM? As an Asian guy, I've found only one out of 100 people using WhatsApp. The rest use LINE. As an Asian guy, I don't know anyone who doesn't use whatsapp. Even my 70 Yr old grandma uses it to keep in touch with family. I personally found line extremely bloated with its stickers. and Whatever happened to Viber and Tango?